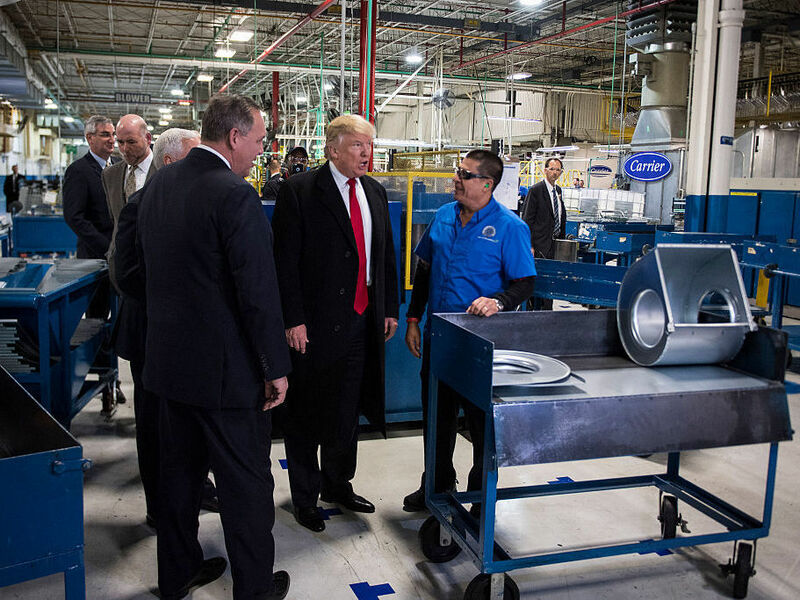 U.S. Manufacturers Brace For Trump's Next Trade Targets Donald Trump was a factor in Ford's decision to cancel plans to build a new plant in Mexico. Now he has the attention of other U.S. manufacturing firms that were considering a move south. Mexico is a global business center, with industries ranging from aerospace to autos operating factories and research facilities there. The following is a sample of U.S. firms' recent investment plans announced for Mexico. Cisco Systems plans to spend up to $4 billion to expand production. Wal-Mart says it will invest $1.3 billion in logistics, including building and expanding distribution centers. Spectrum Aeronautical is investing $300 million to build an aircraft assembly plant. Kansas City Southern plans to invest about $154 million in Mexico rail operations. Automotive wheel manufacturer Prime Wheel plans a $60 million expansion to boost production. Honeywell plans to invest about $15 million to upgrade its plant in Mexicali. MetLife plans an $11 million global distribution and support center.